Purchasing this item will earn you at least 118 GES RewardPoints! 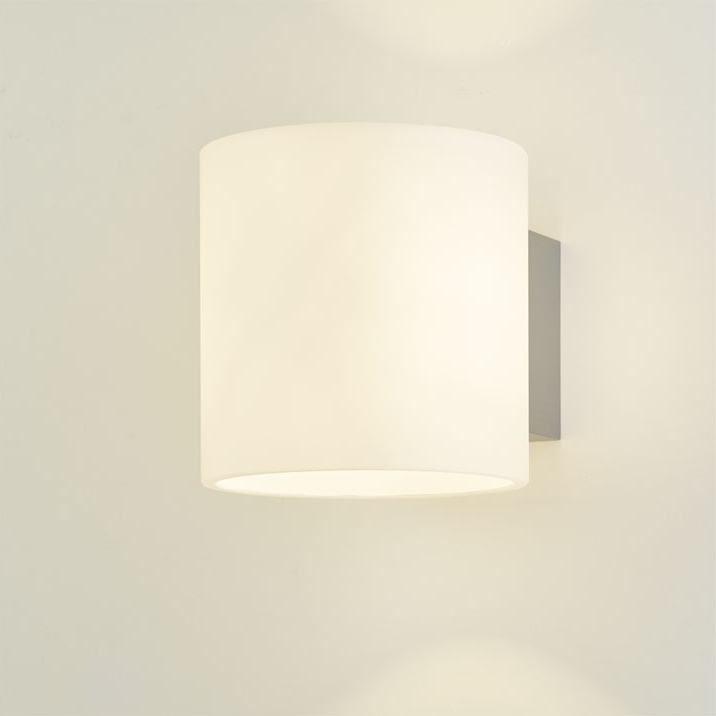 A classic from oligo, the Project Wall Lamp dar. In this light it is once again clear that the beauty of an object is often not within in numerous decorative elements. The Project Wall Light is a basic idea, which was conceived by the designers at oligo to its logical conclusion: A wall light which has a cylindrical shape, indirect lighting, the use of the wall as a reflector as properties. These requirements are implemented in the Project wall lamp, in an elegant form that says more than all the ornaments that could be envisaged. It does not pretend that the shade of the lamp made of metal or colored glass is made, it offers opportunities for choice. The light lines pattern on the wall behind the lamp, which especially in colored painted walls can have spectacular effects. While the lamp emits a purely indirect light on the wall with metal shade, produced in addition a diffuse room light, which has a pleasant impressively with the glass screen. Particularly stimulating effect of combinations of several oligo lighting, the style and atmosphere of a living space a lasting impact. opal-weiß, Ananas, Aluminium gebürstet oder silber matt.